Awarded Best Event/Promotion in Delaware's 2015 Regal Awards, the Taste of Schell event was to introduce realtors to the new home communities built by Schell Brothers in southern Delaware. The tour ended at the Coffee House in Rehoboth Beach. 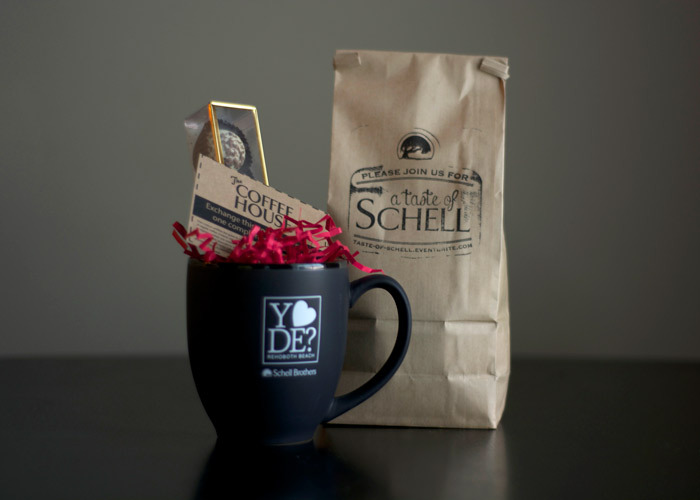 Invitations were inspired by blue prints and featured Schell Brothers' signature coffee beans. Bags of the coffee beans were customized with a laser-cut stamp. Invitations were printed on vellum and kraft paper.